Buzzing around a garden you'll find cute little striped bugs looking for some pollen. With what they get from flowers they go back to their honeycombed hive to make the most tasty treat nature has ever created, honey. 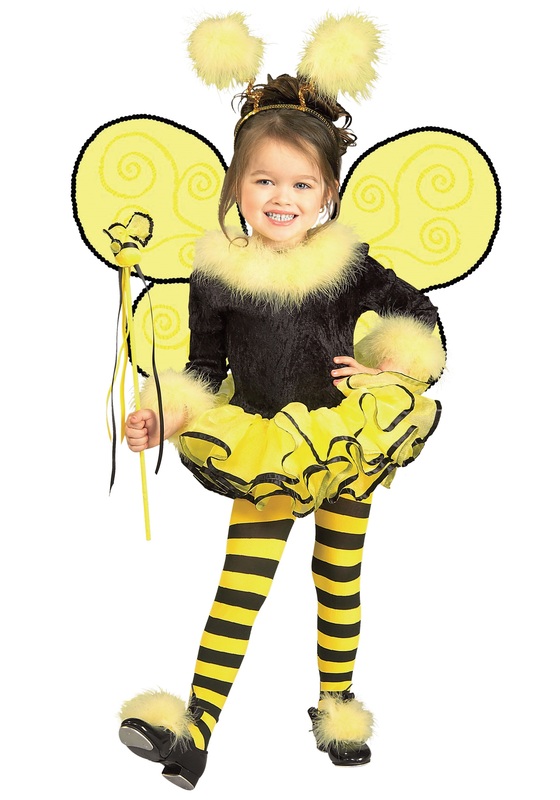 Now your tiny tot can buzz around the neighborhood collecting candy this Halloween in this bee costume! I'm sorry to hear this was incomplete however without your order information we won't be able to access that in the system. Have you reached out to Customer Service directly? They can certainly help with this issue! Bought this for my 2 year old. The size is just right. She is of average build. The dress looks like the picture however, the fabrics are cheap. The finishes are bad. You could see the threads on the tutu section and even the skeeped pieces of cloth. The yellow feathers are spreading all over the dress. I suppose the costume will do the job for a one time use. I would have returned it if I wasn't in Canada. Definitely not worth the asking price. I would not pay more than 15$ for this quality.